The Suquamish Tribe put finishing touches this summer on a three-year expansion and renovation of Clearwater Casino Resort. The project launched in 2013 when lead contractor Korsmo Construction began work on a 700-stall parking garage attached to the casino. Additional phases included the creation of a 98-room hotel tower, a fine dining restaurant and café, three commercial kitchens, a sports bar and lounge, a renovated buffet and service area, 3,500 square feet of non-smoking gaming space, and improvements to the existing gaming floor. Construction wrapped up at the end of August with the upgrades to the main entrance, according to a news release from Korsmo. Work finished a month ahead of schedule. Registration numbers are soaring for an aviation convention planned this weekend at Bremerton National Airport. As of Wednesday morning, 523 pilots had confirmed they planned to land at the airport for the Aircraft Owners and Pilots Association Fly-In, which kicks off Friday evening and continues through Saturday. Nearly 160 participants planned to camp under the wings of their planes. Total registration for the event had topped 1,700, but closer to 3,000 attendees are expected, according to airport director Fred Salisbury. “It should be a packed house,” he said. Weather forecasts should help boost attendance. The National Weather Service predicts sunny skies and temperatures in the high 80s this weekend. Big registration numbers for Bremerton are encouraging to organizers, who believe the event will provide an economic boost to the area. AOPA Fly-Ins typically generate about $680,000 for the local economy, according to the association. The conventions create business for hotels, transportation companies, food vendors and contractors. 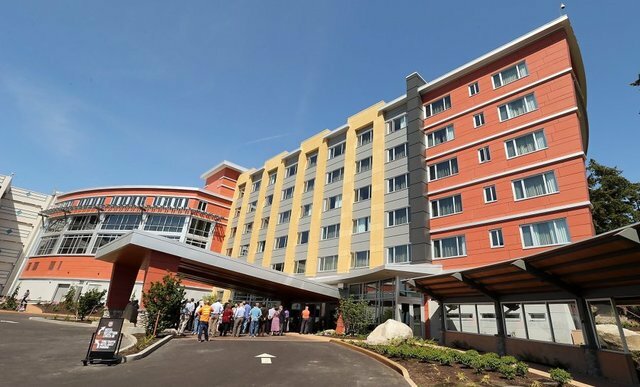 Jack Edwards, manager of Bremerton’s Baymont Inn & Suites, said roughly one-third of his rooms (about 50 units) were booked for the weekend by Fly-In participants. He started receiving reservations from AOPA members as early as April. “We’re still getting calls from them, but we’re full,” Edwards said. 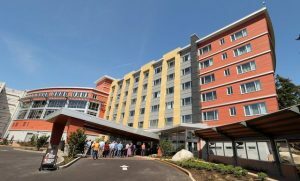 Visitors who waited until this week to book rooms would be hard pressed to vacancies anywhere in Bremerton, he said. Visit Kitsap Peninsula Executive Director Patty Graf-Hoke said the Port of Bremerton deserved praise for bringing the Fly-In to Kistap. The AOPA Fly-In is free and open to the public. Click here to learn more about the event. 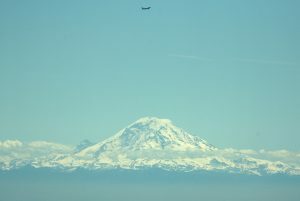 You don’t have to be a pilot to enjoy the beauty of the Kitsap peninsula from the air. Click here to see Meegan Reid’s gallery of aerial photos taken earlier this year. 2015 was a very good year for Kitsap County hoteliers. 2016 is looking even better. Kitsap posted the largest percentage increase in lodging revenues among major Washington counties this spring, according to a market survey by Smith Travel Reports made available by Visit Kitsap Peninsula. Revenue was up nearly 30 percent, a change of about $2 million, January through April this year, compared with the first four months of 2015. Demand for lodging (the total number of room sold) was up 18 percent. Visit Kitsap Executive Director Patty Graf-Hoke said the jump in revenue was partially driven by hotels raising room rates. Hotels charged an average daily rate of $93 in April, up from $84 in April 2015. 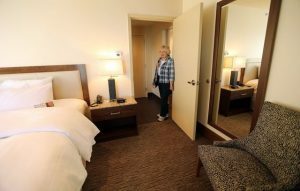 Federal employees and contractors fill many Kitsap hotel rooms, particularly in the Bremerton area. The federal per-diem for lodging is currently $89. But Graf-Hoke said hotels have enjoyed a recent influx of tourists, as well as construction workers employed at large developments in the county. “The hoteliers are having the ability to charge higher room rates because of an increase in leisure travel,” Graf-Hoke said. 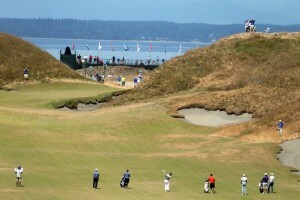 The U.S. Open at Chambers Bay was expected to bring a lot of green to the Northwest. The weeklong event lived up to expectations, according to an economic impact analysis commissioned by the USGA. The study, conducted by Northwest economists, estimated the golf championship gave a $134 million boost to the economies of Pierce, King, Kitsap and Thurston counties. Local governments spent about $7.6 million on the event, with more than $4 million coming from Pierce County. The tournament, which ran June 15-21, attracted about 110,000 unique attendees to the Pierce County golf course. More than half came from surrounding counties, while one-third traveled from other states. “No other one week event in the history of the Pacific Northwest has had a greater economic impact,” Pierce County Executive Pat McCarthy said in a new release. The direct economic benefit to Kitsap County was relatively small, but not insignificant. The report estimated the county’s hotel/motel sector reaped a $349,000 increase in revenue in June (hoteliers were already having a good year). Many Kitsap golf courses reported an uptick in traffic around the time of the U.S. Open. Tourism boosters hope a more greater benefit to the county will materialize in the future, as spectators exposed to the region through the U.S. Open return to visit. Update 05/17/16: Plans for the hotel have been dropped due to challenges, according to the architect. A Best Western hotel has been proposed for a hillside overlooking Poulsbo’s Central Market. 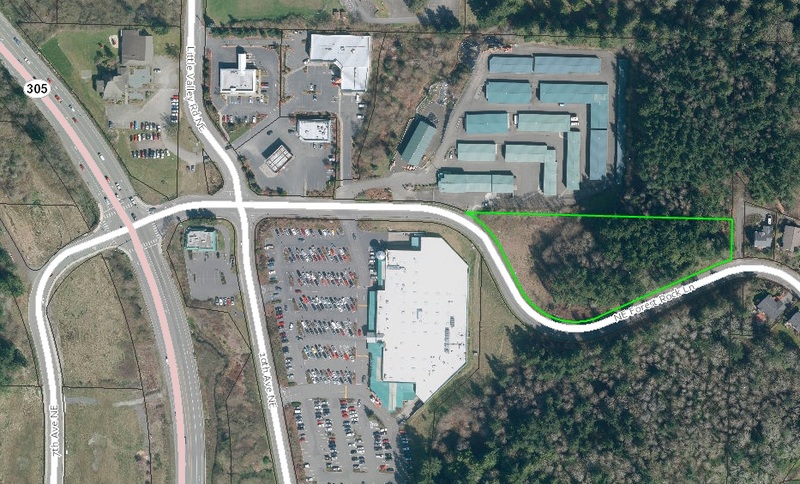 The city received pre-application materials for a 94-room hotel planned for a vacant parcel off Forest Rock Lane, east of Highway 305. Preliminary drawings submitted to the city show a five-story, 59,500-square-foot structure with basement-level parking. The hillside lot is 2.5 acres, but a significant portion of the property is designated as wetland, limiting development to the eastern and western extremities. A Poulsbo planner said it’s unclear yet whether the designs would meet the city’s height restrictions and other guidelines. A pre-application conference is scheduled for Dec. 1. The applicant for the project is Benny Kim of Edmonds-based design firm An and Kim LLC. In an email Tuesday, Kim said initial feasibility studies are underway. He acknowledged the site poses development challenges. The property is owned by PPB Properties LLC. of Lynnwood, which appears to be a holding company for Prime Pacific Bank. There are Best Western hotels in Silverdale and on Bainbridge Island. Business has been picking up for hoteliers across the county recently. Kitsap County’s lodging industry has enjoyed double-digit increases in demand and revenue this year, according to a report from an industry analyst. Through August, demand for hotel rooms was up 14.3 percent from 2014 while revenue increased by 17.5 percent. Kitsap posted the highest growth in hotel demand of any county in Washington, according to the report from Smith Travel Research, Inc., and summarized in a Visit Kitsap Peninsula news release. Visit Kitsap Executive Director Patty Graf-Hoke attributed the spike in hotel demand to marketing efforts aimed at attracting more tourists and reducing the county’s dependence on government-related travel. “We have positioned ourselves in the sweet spot between the Olympic Peninsula and the bright lights of the city,” Graf-Hoke said in the release. Regional ad campaigns have highlighted Kitsap’s natural setting and recreational opportunities, including its nationally-designated water trails system. 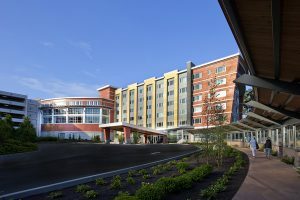 My compatriot Tim Kelly with Kitsap Peninsula Business Journal recently took a closer look at how hotels are benefiting from the county’s tourist boom. You can read his June story here. Work on a new Point Casino Hotel officially gets underway next week. Noo-Kayet Development Corporation, the economic development arm of the Port Gamble S’Klallam Tribe, will hold a groundbreaking ceremony from 11 a.m. to noon Sept. 10, according to a news release. The 94-room hotel is expected to open a year from now. PGST Chairman Jeromy Sullivan and other tribal and project leaders will speak about the hotel, what it means to the tribe and local economy, and how the traditional art installations throughout the property will create a cultural connections between the tribe and guests. The event is free to the public and will include a blessing of the land and project before construction begins the next day. 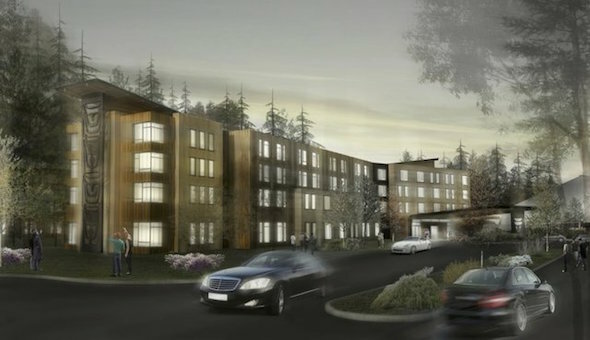 Bremerton’s old Dunes Motel will reopen this fall as West Sound’s first Motel 6. A Motel 6 spokesperson said to expect a grand opening in October. The Dunes Motel had fallen into foreclosure, eventually closing in late 2013, at a time when other Bremerton hotels were experiencing an upswing. DVR Investment, LLC., of Tuckwila bought the 11th Street property from Whidbey Island Bank for $780,000 in October 2013, according to county documents. The building underwent an overhaul this year. The 64-room Dunes, built in 1978, was one of several motels providing budget rooms along the Kitsap Way corridor.